With the opening of Scottish Parliament in 1999 and the independence referendum in September 2014, the twenty-first century thus far has been a time of important political change in the Scottish nation. 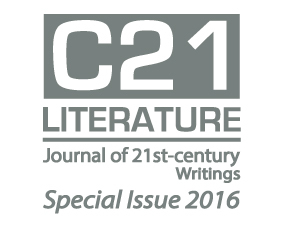 This special issue of C21 Literature asks how the literary landscape of Scotland has evolved over this period, and asks if Scottish fiction can offer insights into questions around locality, nationhood, and the global in the twenty-first century. Is it possible to speak of a national literature with reference to writing from Scotland? How does such writing inform our thinking in the twenty-first century, within Scotland and beyond?